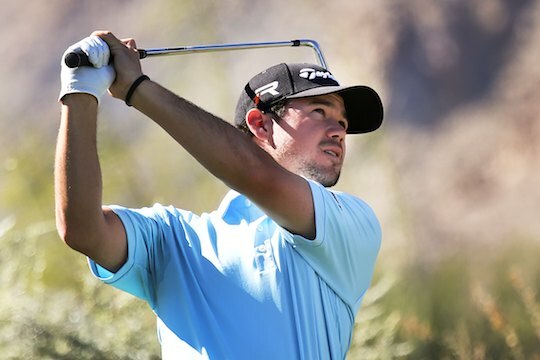 Brian Harman earned the final berth into the field at Royal Liverpool by winning the John Deere Classic Sunday afternoon in Illinois. The 27-year-old, in his third full season on the PGA Tour, hadn’t been in the final group in the final round until Sunday but held on closing with a 66 to finish at 22-under-par to win by a stroke over Zach Johnson for his first professional title. “It was very hard, probably one of the hardest things I’ve ever tried to do in my life,” said Harman. Jhonattan Vegas had a 65 to finished tied for third with Jerry Kelly. Scott Brown and Tim Clark tied for fifth another shot back. Harman, whose best previous finishes were ties for third place, also earned his first invitations to the Masters and the Tournament of Champions. Turning professional in 2010 after a distinguished amateur career which included winning the 2003 US Junior Amateur, 2005 Players Amateur and 2009 Dogwood title, Harman played mostly on the EGolf Professional Tour finishing in the top-10 in 11 of his 14 starts. He gained his first pro victory at the Manor Classic on the EGolf Tour where he won by three shots. He also played in three Nationwide Tour events in 2010. His best showing came at the Stadion Athens Classic at UGA where he placed T18 on his former college course. Harman dabbled a little on the Nationwide Tour in 2011 playing three events making the cut in two yet was not able to make inroads until his big break in 2012 when he gain his card on the PGA Tour after finishing T8 at the PGA TOUR Qualifying Tournament at PGA West in Palm Springs to earn fully exempt, rookie status on the PGA Tour in 2012 where he’s played since. During 2012, Harman recorded his first top-10 finish on the PGA Tour with a T5 at The Barclays and in 2013 made 15 of 29 PGA Tour cuts, with two top-10s to finish 94th in the final FedExCup standings to retain playing rights for 2014. Harman had recorded nine top-10 results including two third places but was winless on the PGA Tour until last weekend with Sunday’s victory coming from a fresh approach Harman claims to have taken towards his game which now sees his world ranking climbing to 70th. “At the beginning of this year, I kind of caught myself trying to imitate too many guys at once,” said Harman, a three-time All-American and former Walker Cupper. Queenslander Steven Bowditch was the best of the Australians in a share of 11th, seven shots off the lead.